Dolph Ziggler and Drew McIntyre make the latest defence of their Raw tag team titles live on Sky Sports Arena at 1am tonight. Fresh from their somewhat fortuitous victory over Dean Ambrose and Seth Rollins at Hell In A Cell, the champions put their belts on the line against The Revival this evening. Scott Dawson and Dash Wilder were denied their shot at the gold when it was in the possession of the Shield duo, only for a backstage attack at the hands of Ziggler and McIntyre to deny them the opportunity. Now the Revival get the opportunity to see if their old-school style will be enough to dethrone an equally old-school heel duo, whose quarrel with Ambrose and Rollins seems to have been put on the back burner. Bobby Lashley's new partnership with recently-recruited manager Lio Rush has led him to a match with Elias this week, although there is a solid chance Kevin Owens will not simply let that contest happen. Owens was somewhat embarrassed by Rush on last week's episode, as the "23-year-old piece of gold" exhibited his athleticism to help run off the heel duo alongside his client. Everything seems headed towards a two-against-two match in which the physical odds would favour Elias and Owens, but tonight is all about singles competition, with Lashley looking to put down a marker. 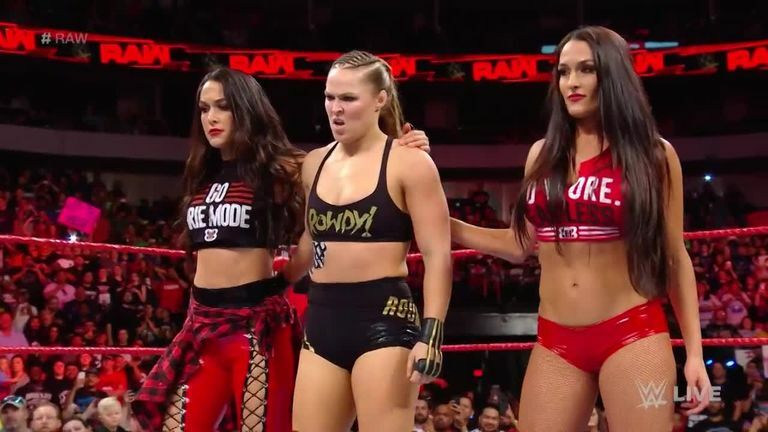 Ruby Riott leads her Squad into a six-woman tag match against Ronda Rousey and the Bella Twins at the Super-Show Down pay-per-view on October 6, but before that Melbourne match comes two weeks of television in which to develop the storyline between the groups. Who is WWE new star Lio Rush? WWE Lock Up: Hell In A Cell verdict! 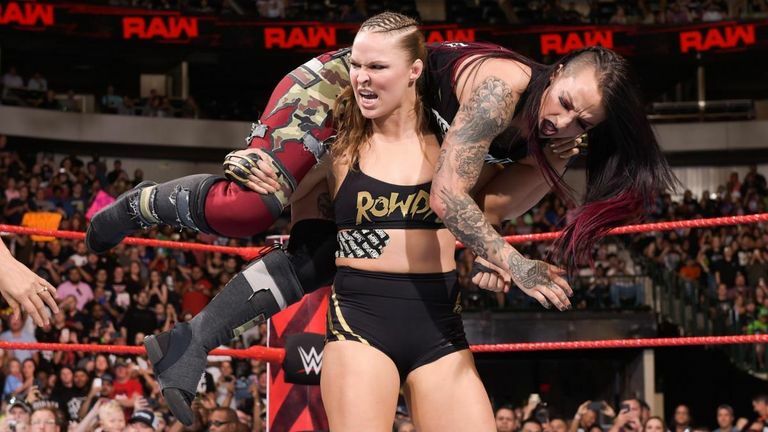 Last week saw Rousey and her cohorts stand tall - but not until after Riott had levelled the Raw women's champion with a picture-perfect Spear. This week sees Riott - who many view as a potential challenger to Rousey's crown - go one-on-one with Brie Bella, whose busy schedule since returning to in-ring competition continues.